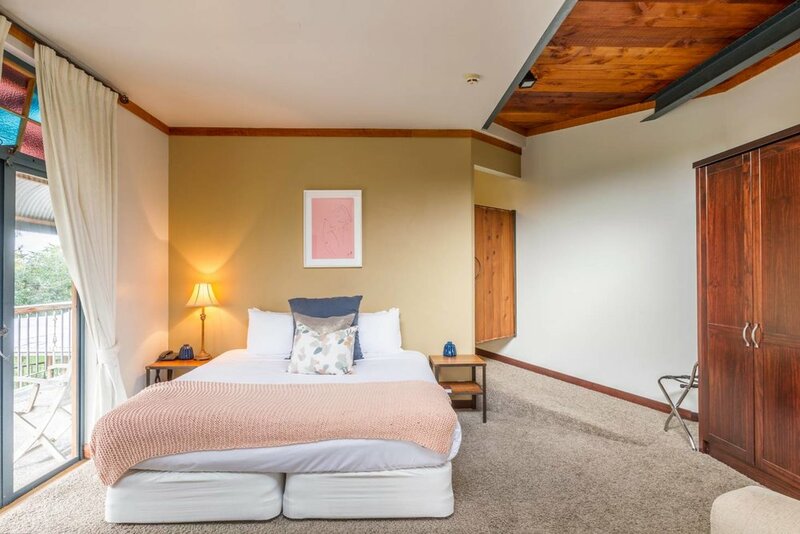 The Narrows Landing is a boutique bed and breakfast beautify hidden in the back bush of Tamahere. 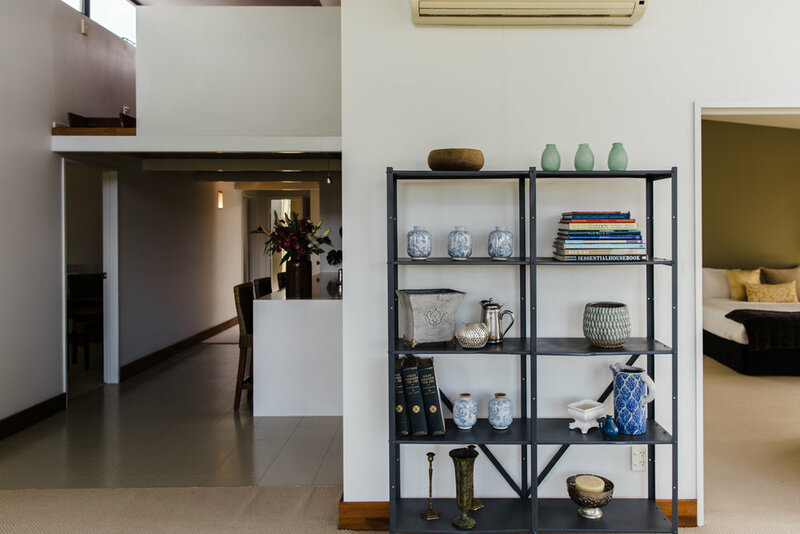 The interior is clever in design as well as being a little unconventional and has been constructed of recycled steel and reclaimed native timbers. Stay at The Narrows Landing boutique bed and breakfast if you are looking for somewhere a little different. 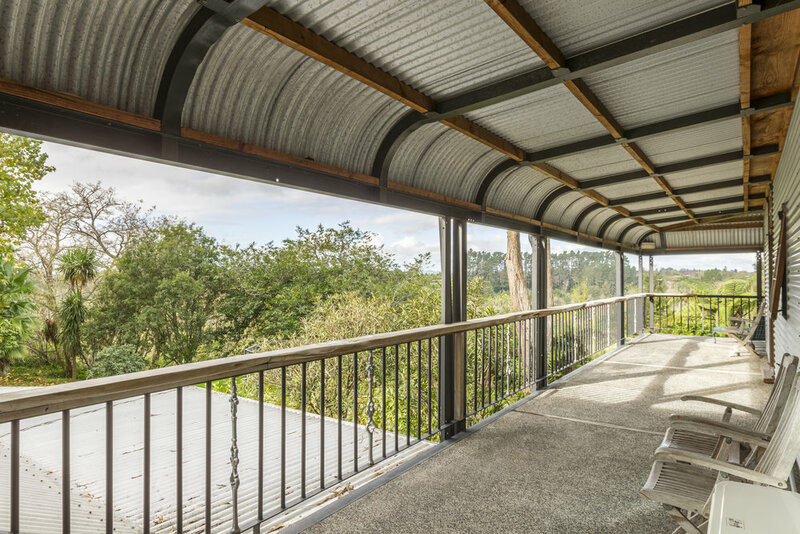 The interior is clever in design and has been constructed of recycled steel and reclaimed native timbers making it stylish as well as unconventional. Located close to Hamilton airport, The Narrows Landing is perfect for short or long stays. The Totara Suites, are situated on levels two and three of The Narrows Landing. 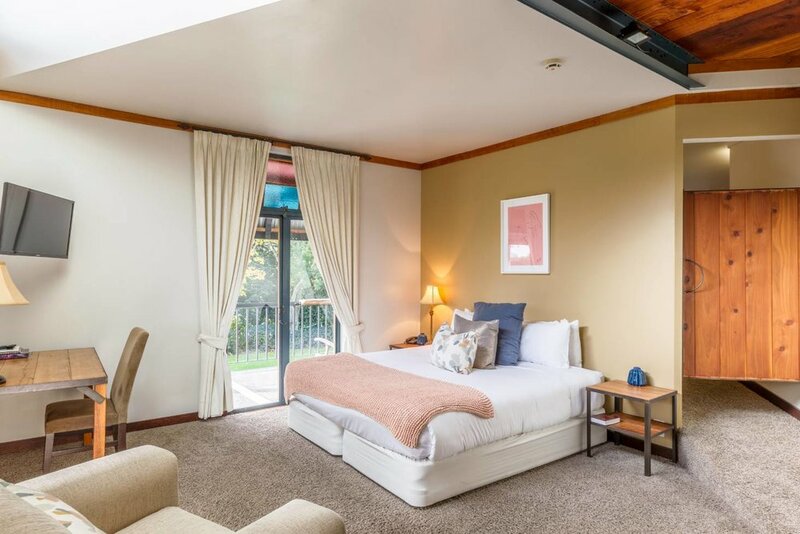 These comfortable cosy rooms offer views over The Narrows gardens. Every room has quirky features adding to The Narrows Landings distinctive points of difference. 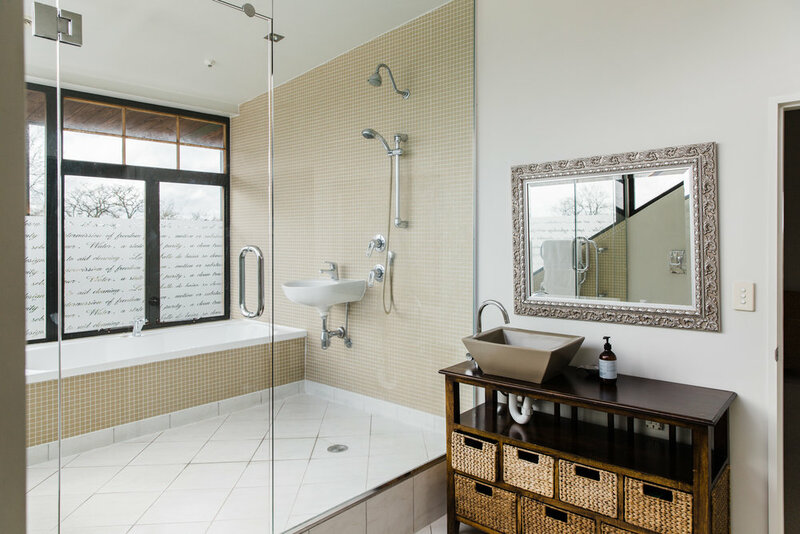 The private en suite bathrooms feature either a walk-in shower or a shower and bath. The Deluxe suites are situated on level two of The Narrows Landing. 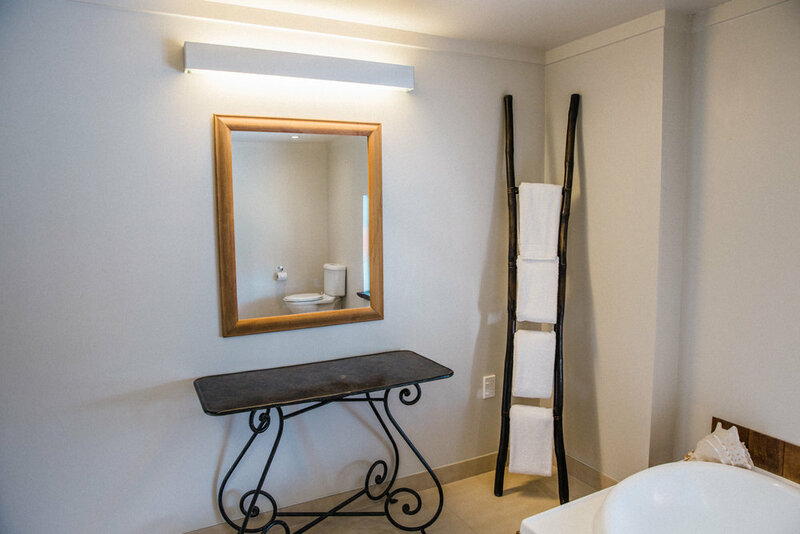 Larger than many other hotel rooms these spacious suites offer light airy interiors, stylish modern amenities and large spa baths. Relax on the verandah, soak in the spa or enjoy a walk around the gorgeous private grounds. Eclectic furnishings define this well appointed three-bedroom apartment which is situated on level three and definitely has the wow factor! 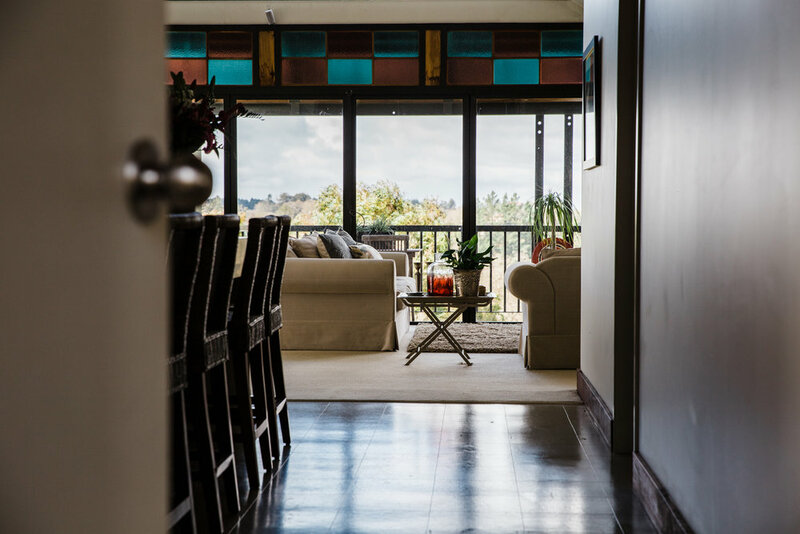 The Tree Tops Apartment enjoys captivating views of the Tamahere area and the Acacia Reserve. 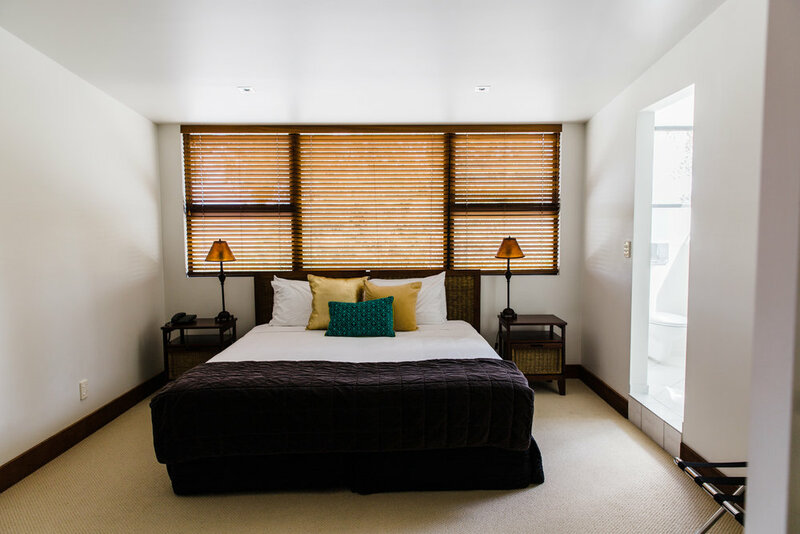 Each bedroom has its own private en suite bathroom and is the perfect place for some quiet time. 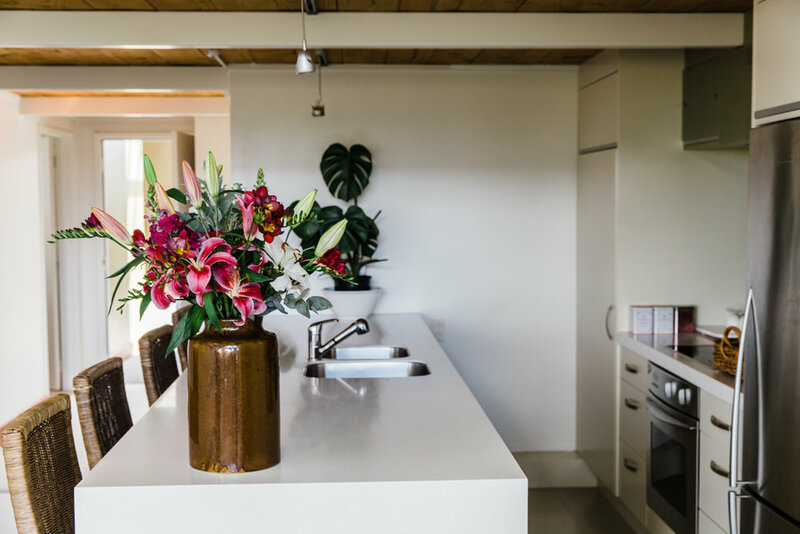 The open plan kitchen, dining and lounge areas all add to the Tree Tops Apartment experience.